a12mopar.com The Lift Off Hood Playground - How do you identify a “correct .. The estimated 28 daily visitors, each view 12.00 pages on average. 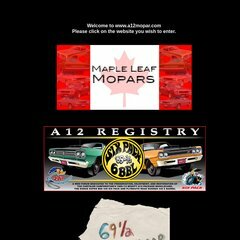 A12mopar.com's server IP number is 184.173.205.34. It has 2 DNS records, ns146.hostgator.com, and ns145.hostgator.com. Theplanet.com Internet Services Inc (Texas, Houston) is the location of the Microsoft-IIS/7 server. PING (184.173.205.34) 56(84) bytes of data.